Labor Day weekend is almost here! Know what that means? We can have Jell-O Shots!! Woot!Woot! Bring ’em on! 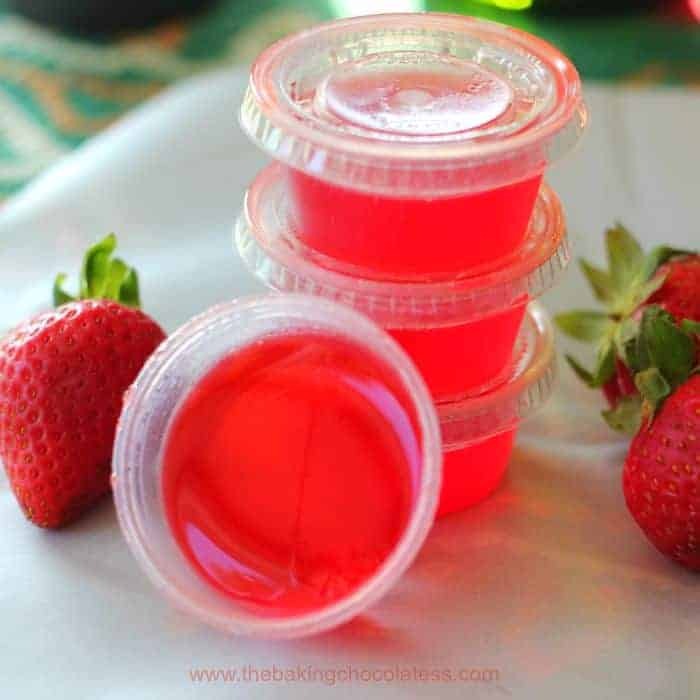 These Strawberry Lime Margarita Jell-O Shots are bursting with refreshing strawberry and lime flavors! Oh…and don’t forget the tequila!! These shots only require 2 OR 3 ingredients, (besides boiling water) depending if you have tequila or not. 2 ingredient shots: Jose Cuervo Strawberry Lime Margarita (Tequila is included) + Strawberry Jell-O! 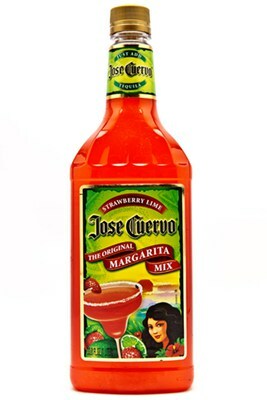 Use this Jose Cuervo Strawberry Lime Margarita! To change it up, these Authentic Cuervo® Margaritas, are made exclusively with Cuervo® Gold. No measuring required. Jose Cuervo Ready-to-serve margaritas come in six flavors: Classic lime, strawberry lime, mango, watermelon, grapefruit-tangerine, and coconut-pineapple. 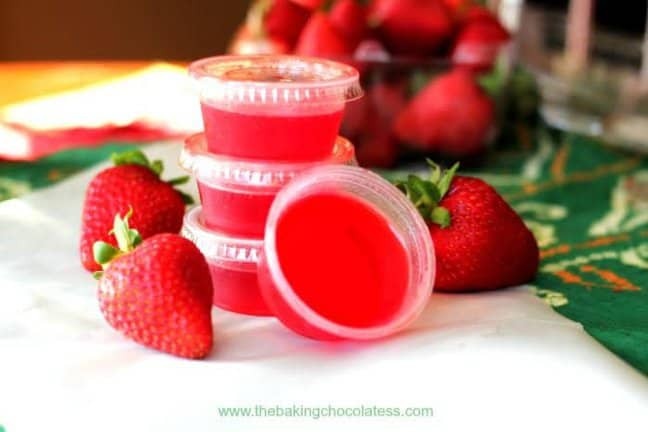 3 ingredient shots: Jose Cuervo Strawberry Lime Margarita Mix + Tequila + Strawberry Jell-O!. Choose! Are you ready to party? Let’s rock this! Strawberry Lime Margarita Jell-O Shots were taste-tested and approved by a bunch of adult party people (my friends!) at the last pool party I went to. 🙂 Jell-O shots…we love you! We really do! These Strawberry Lime Margarita Jell-O Shots are bursting with refreshing strawberry and lime flavors! Oh...and don't forget the tequila!! In a medium bowl, stir together the Jell-O and boiling water until the Jell-O dissolves. Add the Strawberry Lime Margarita mix and tequila and whisk together until mixed well. 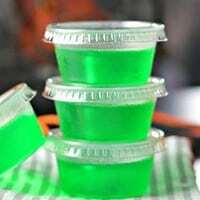 Pour 1 ounce of the jello shot mixture into each of 12 shot glasses (small plastic or paper cups will also work) and chill until solid, about 2 hours. BONUS! Add a Strawberry Jolly Rancher when boiling water until melted for an extra kick of flavor to your Jell-O shots! If you love parties and Jell-O shots, then you gotta check these puppies out!! BOO! 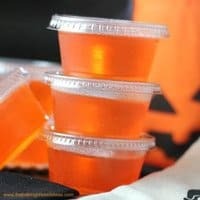 3 Fa’BOO’lous Halloween Jell-O Shots! “Flip-Flop” Tequila Sunrise Jello Shots!! So, what about the tequila?? Actually Nancy, there is, but I posted the wrong picture of margarita tequila mix, but it’s updated for both margarita mixes now. Ugh…would it be ok to admit I was taste testing and that MAY have affected my brain. Thank you for catching that…I think I owe you some Jell-O shots? 🙂 Happy Labor Day Weekend! 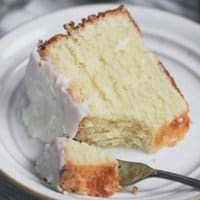 So as a newbie you jist make the jello as normal but add the ready mix or am i mossing a step? I don’t see why not? 🙂 Let us know! When you say “small box”, how many servings is that? I have the boxes that have 8.5 servings, and I really think those might be the big boxes. Should I just double everything else? Hi Alison, you can double it using that size. The small box size is 3 oz. 🙂 Enjoy! !